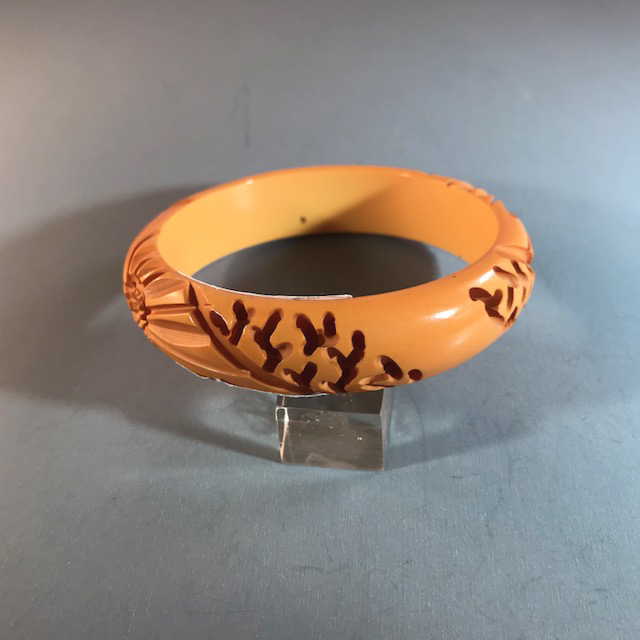 BAKELITE butterscotch bangle, deeply worm carved and pierced, 2-1/2" by 5/8" by 1/4" thick. 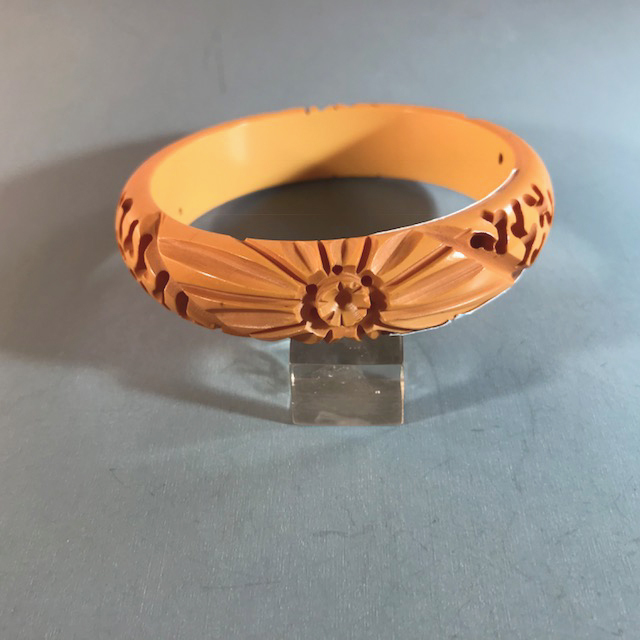 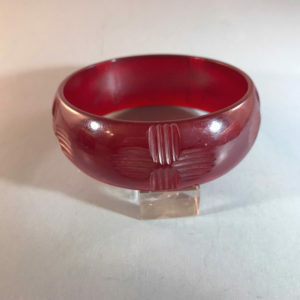 It is a 1940 era bangle in good condition except for one thing. 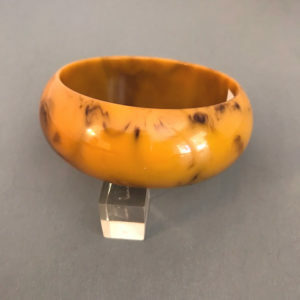 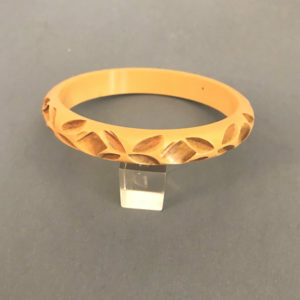 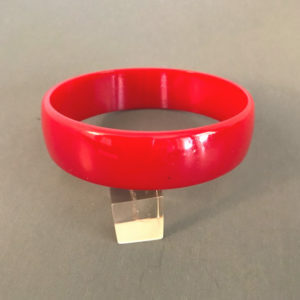 As can be seen in one photo, someone burned a tiny hole on the inside, and while we hate to see this happen, it is still a very wearable bangle anyway.